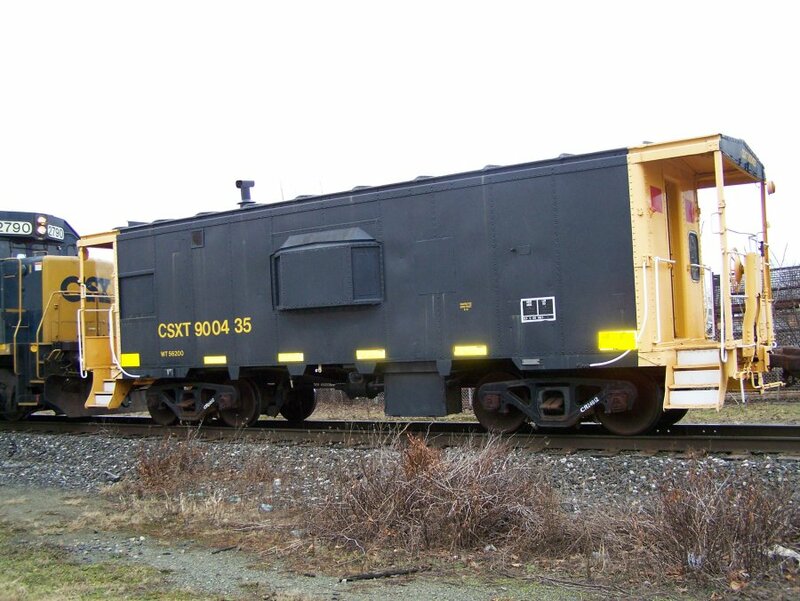 ES40DC 5280 leads a grain train by the once "CP Martin", now designated "CP 247." 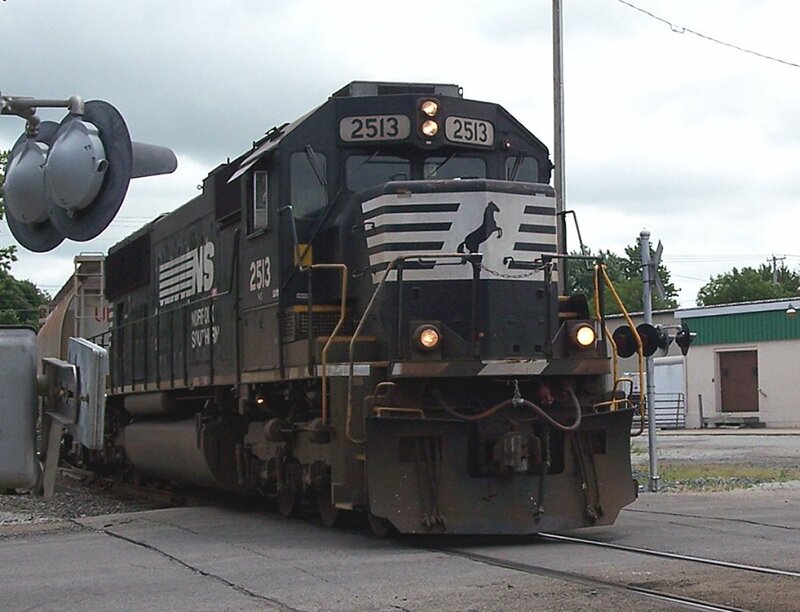 5280 was built in October of 2005 as a ES44DC, and after establishing a career with CSX, she was de-rated to 4000hp, further making her what CSX calls a "ES40DC. 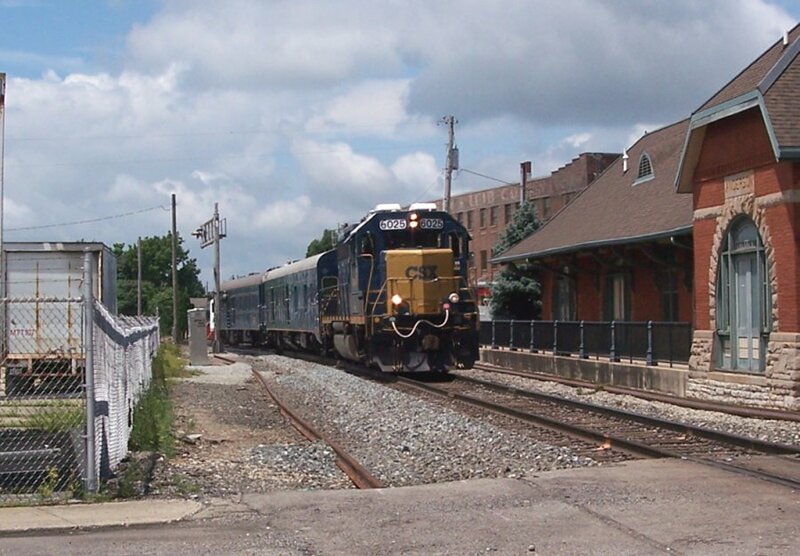 This shot would have been more interesting if the old Conrail Tri Light's were still in place. 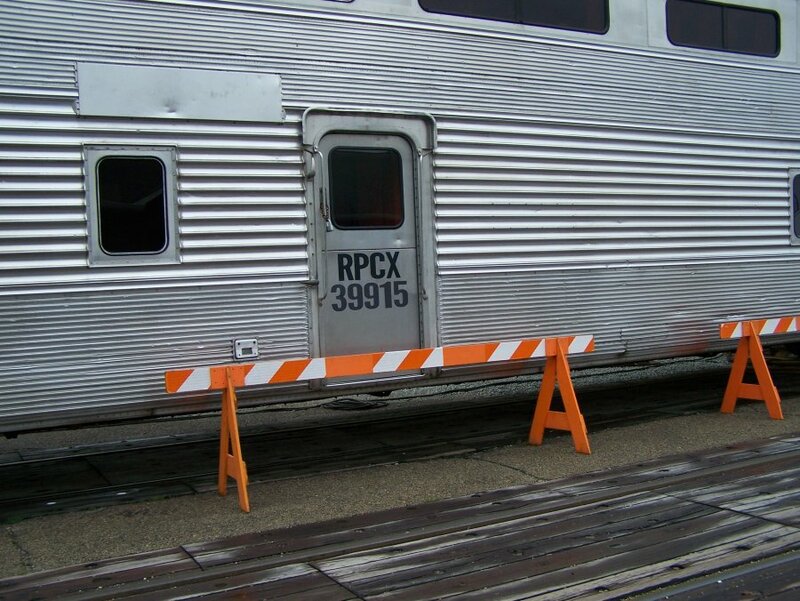 They were removed about two years prior to my visit here. 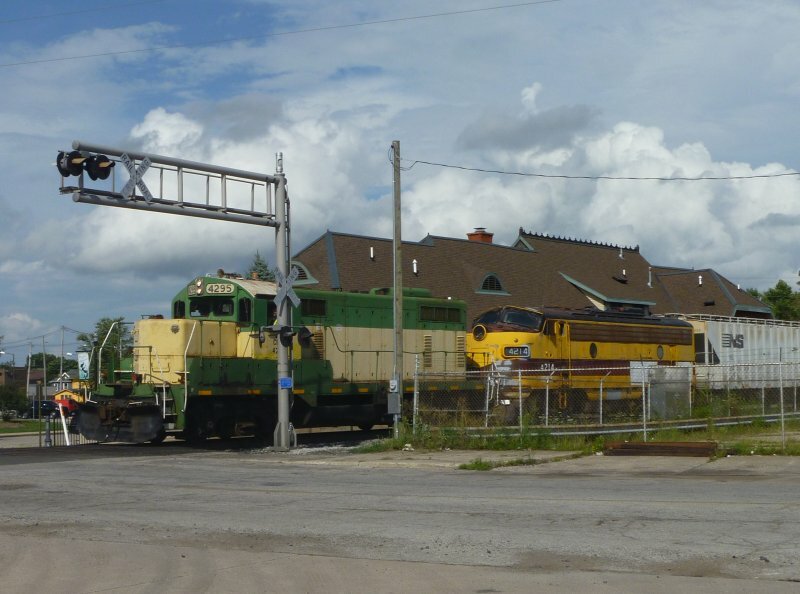 In the foreground is the Emporia Industrial Secondary (once the south end of the Big Four's Michigan Branch), and further west, as you can see is the So. 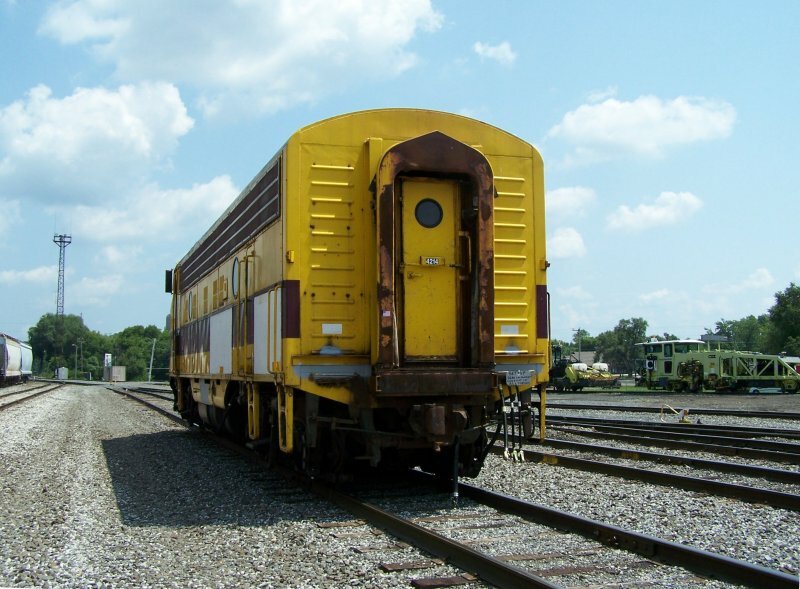 Anderson Siding. 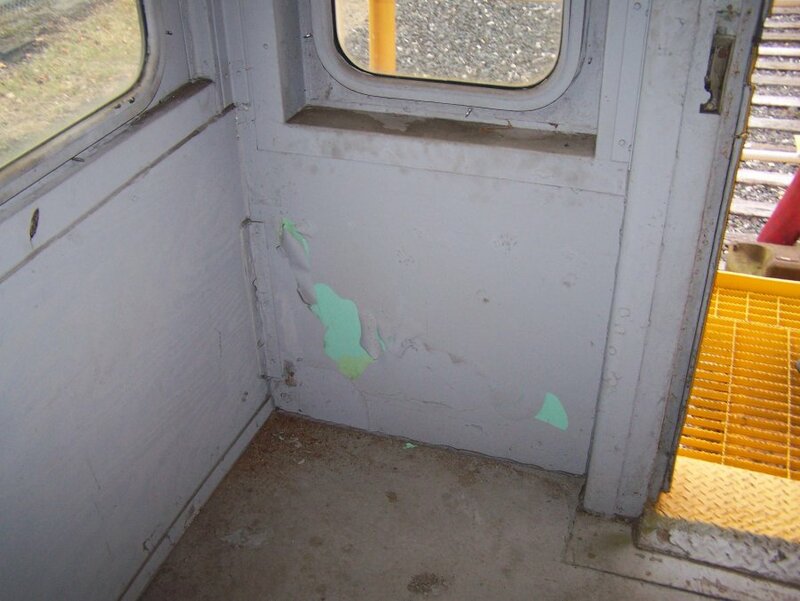 I recall the train easily reaching 30 mph here. It just makes me wonder how easy they made it up Bellefontaine Hill. 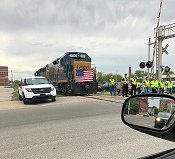 I received a phone call about a Track Inspection Train coming through Anderson in few minutes. I decided to see if I could catch a photo or two. I grabed my camera and headed out to the old Big Four station to wait. I set up at Main Street looking for the train to come from the West. I could hear it wistling for the street crossings at a distance. And then I heard it coming from the East. Yes it was! 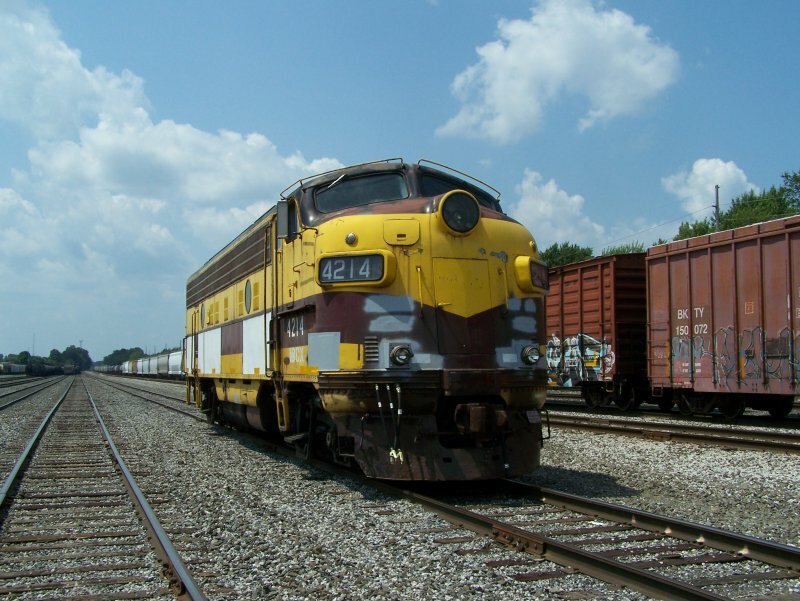 It was a NS SD70 pulling a series of transfer cars out of Indianapolis. I wasn't in good possition but I took two shots. 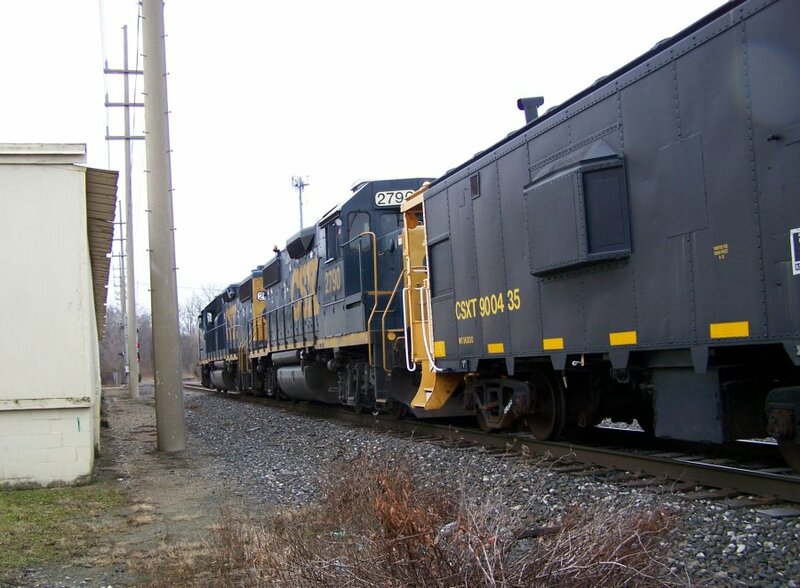 I watched it heading for the curve that would take it North and then I saw the CSX train waiting near the switch for the northbound. 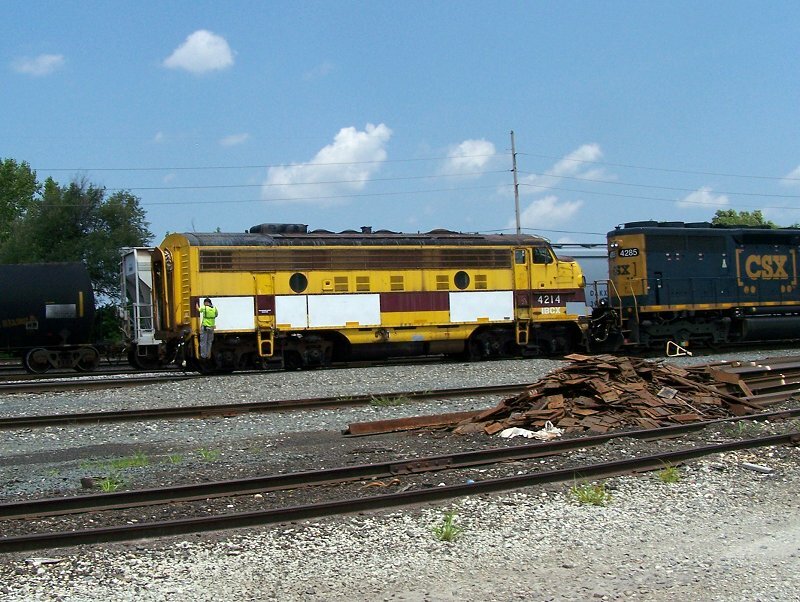 In a few minutes the NS had cleared the track and the CSX was on its way toward me. I took three shots. 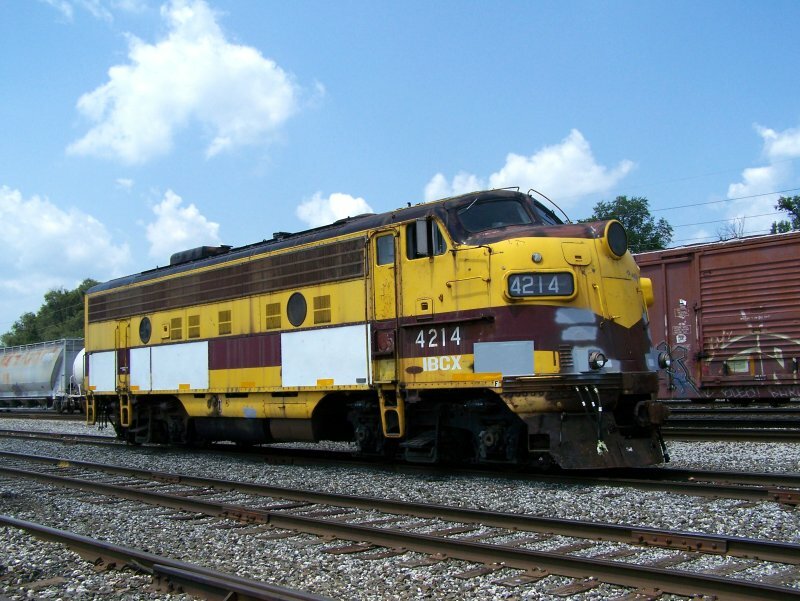 The CSX B40-8 (GE) was an older B&O unit pulling two cars. 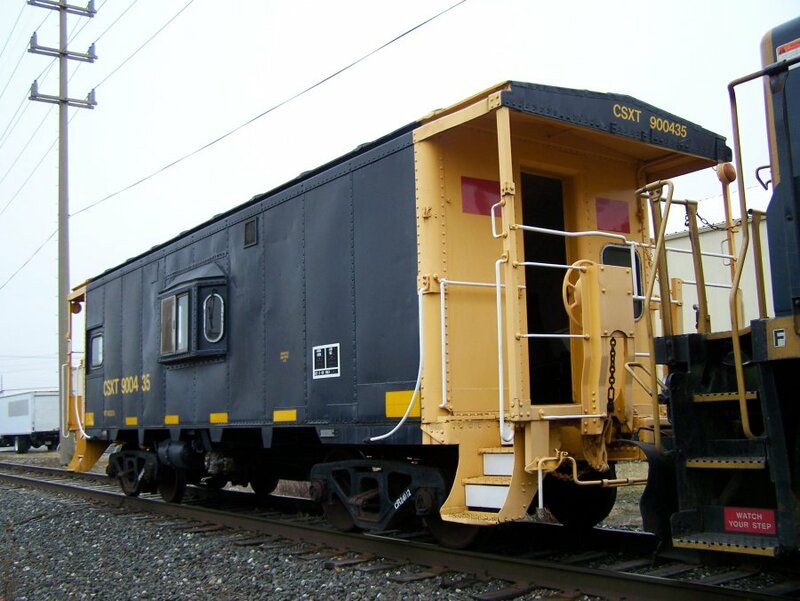 The last car has a man standing looking out the large window. It was a good day. 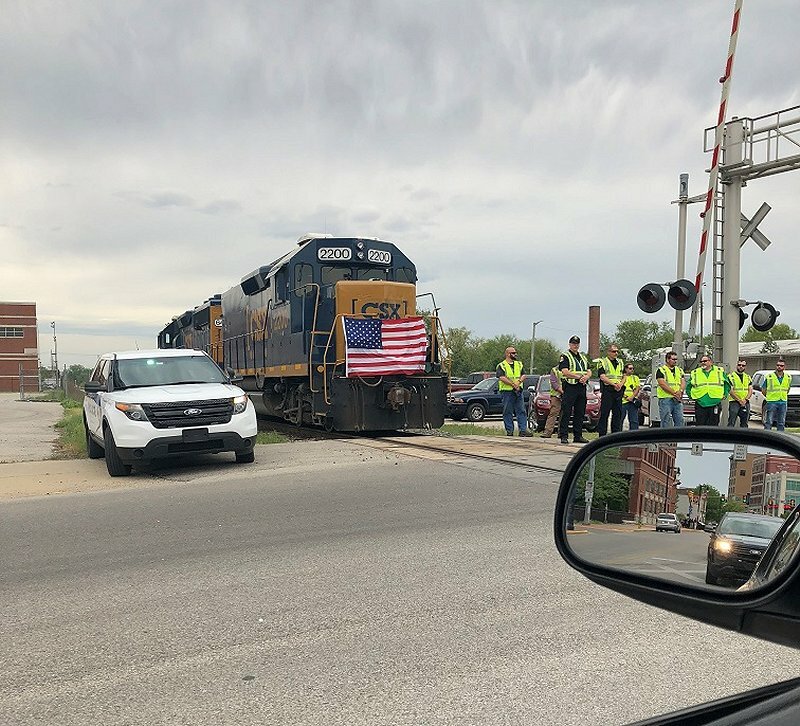 Oh, yes, both engineers waved. Yes, it was a very good day. 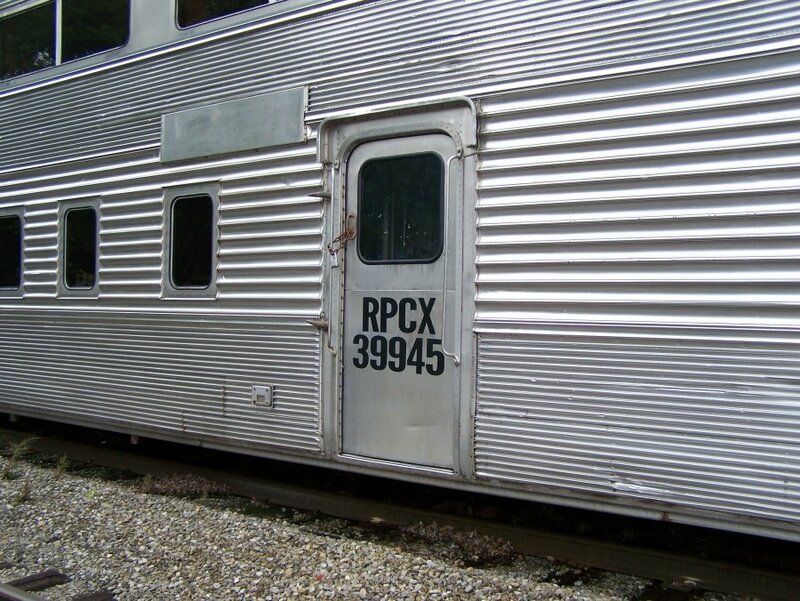 Here is a F9 IBCX 4214 on its way to Lapel. 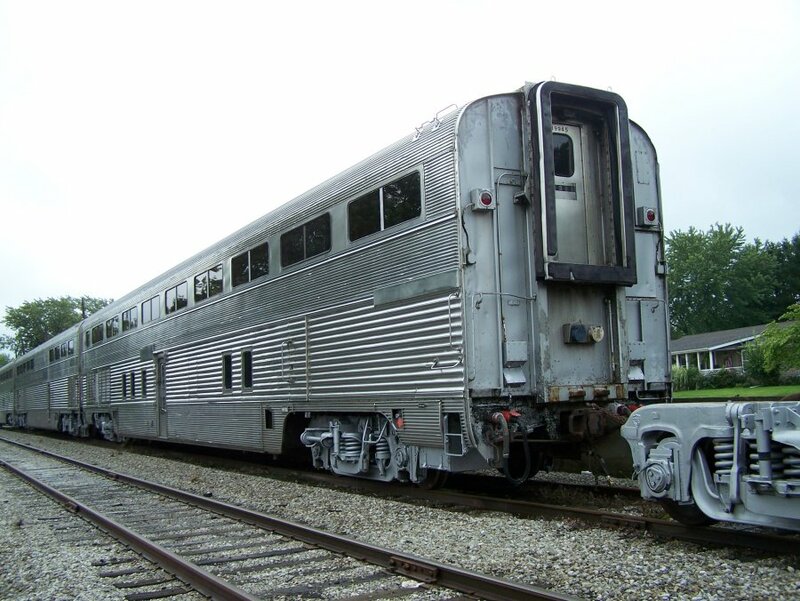 It will join a couple of passenger cars there for transport to Atlanta. 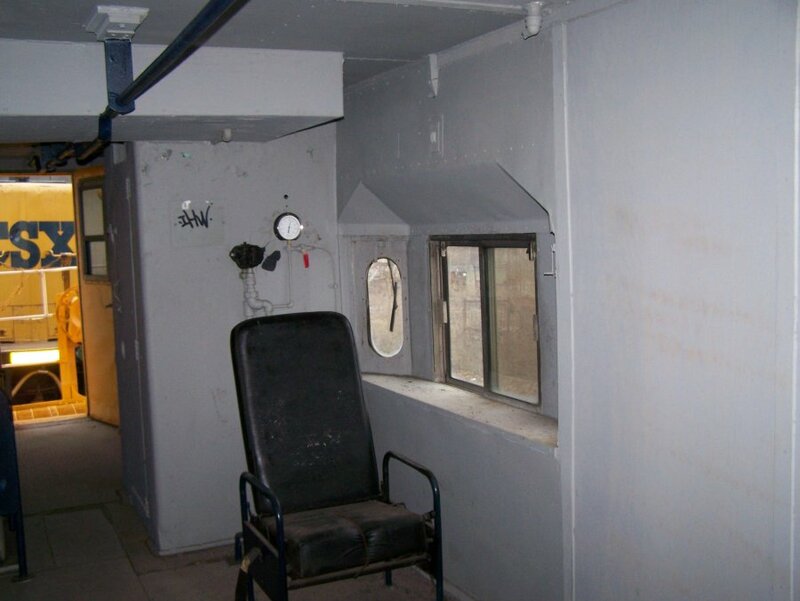 It loooks rough on the outside but I am told its really clean on the inside. As I began to relax for the afternoon, my cell phone buzzed a couple of times, and thank God for the human dopamine rush of a cell phone notification. 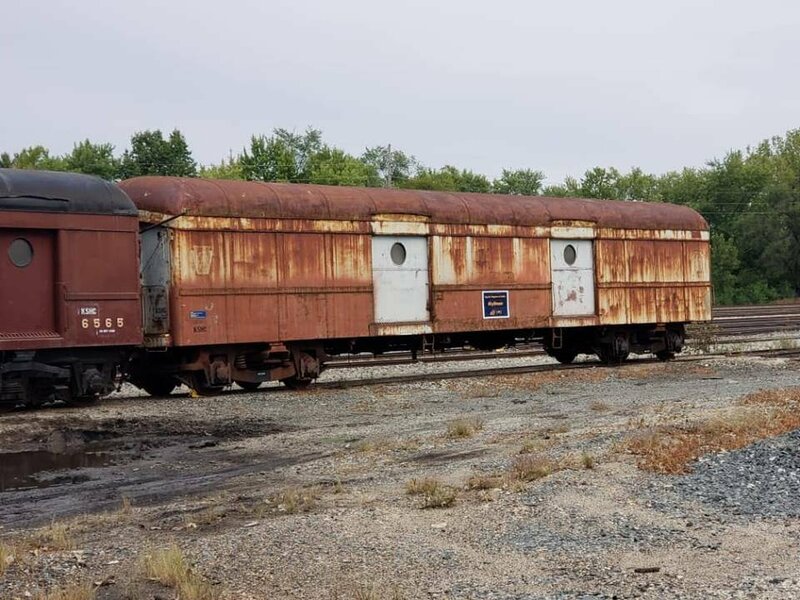 I had been notified that the Central Indiana & Western was in the process of picking up the 4214, a former Erie Mining Co. F9A covered wagon. 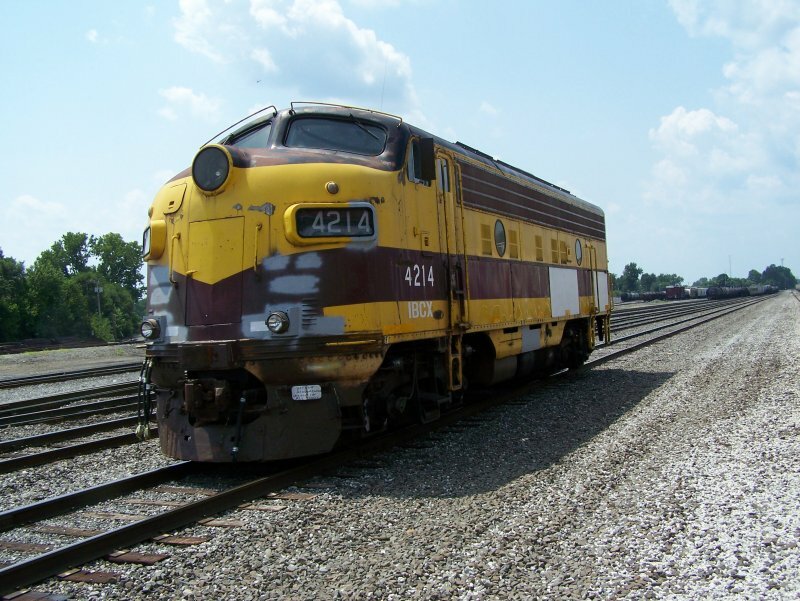 The locomotive was built in August of 1956, and spent most of its career hauling Coal and Ore trains. 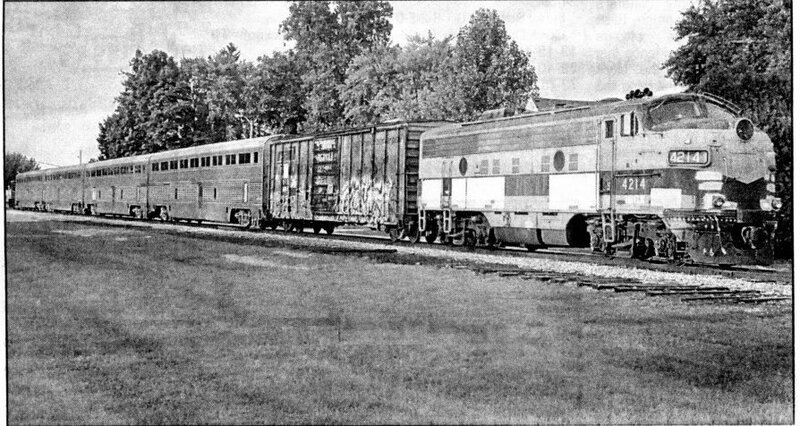 In brevity, the locomotive would be passed through two more roads (LTV Steel Mining, and Indiana Box Car Corp) before it would be purchased and sent for use on the Nickel Plate Express operation in Atlanta, IN, whereby the CIW would haul it in that direction. After jump starting my heart at the notification, I grabbed my camera and scanner, and headed out of the door. Big Four Depot was my choice of attack. 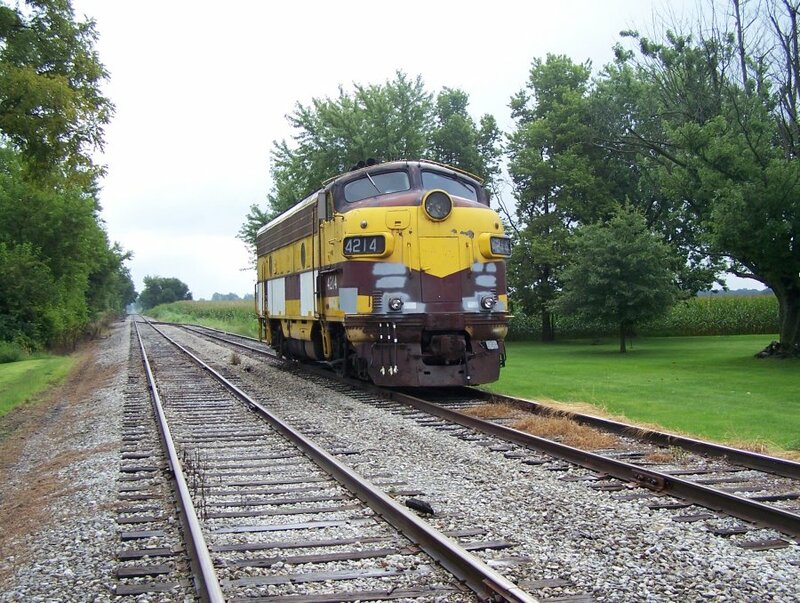 As the 4295 (ex CNW) came by running on a "Slow Clear", I decided I wasn't satisfied with my shot. A chase was in order. 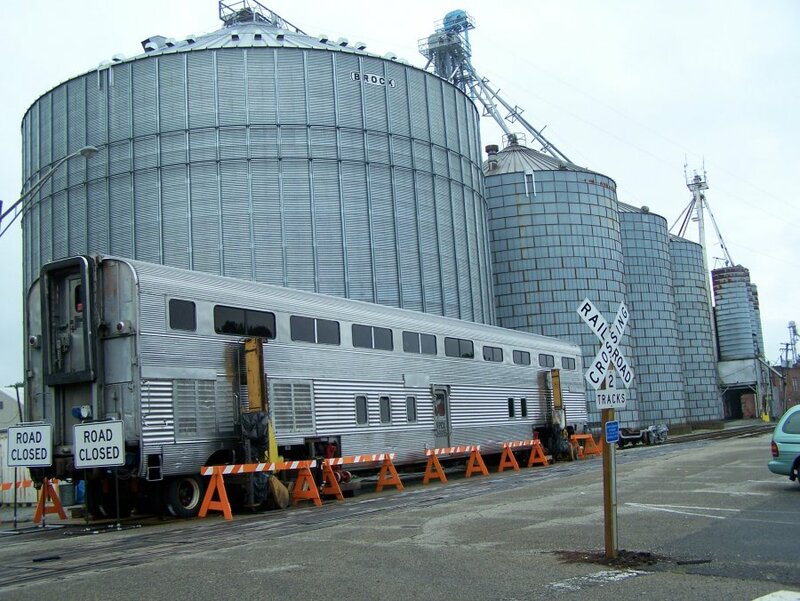 I followed them for a few crossings on the west end of town before deciding that Bloomer Siding would make an interesting shot. 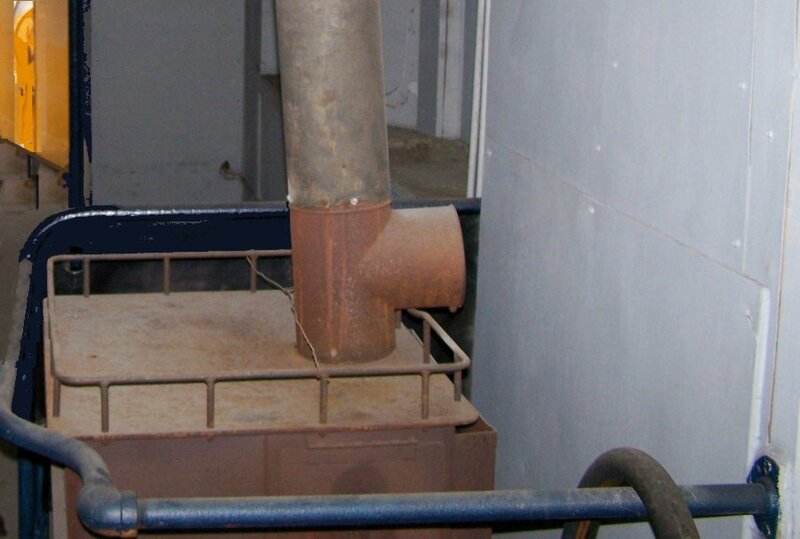 In a few spots the engineer had really began to crank up the throttle. As old heads would say, "on the roof." 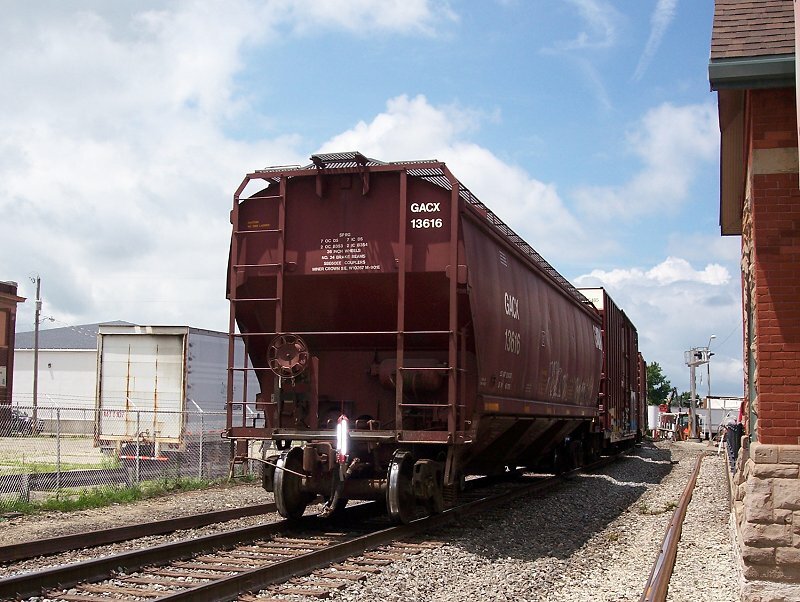 With heavier trains, the engineers will often throttle up for a few slight grades along the railroad. 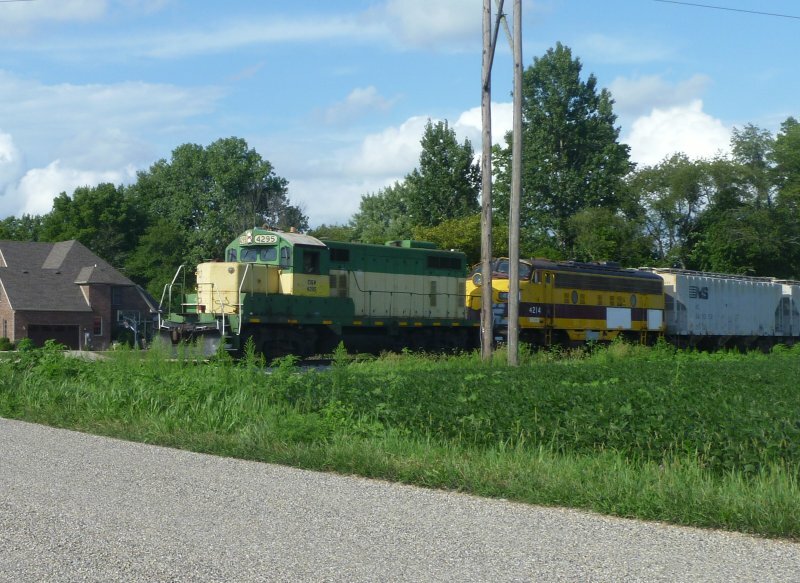 Exhaust filled the air as I paced them through the Indiana country. 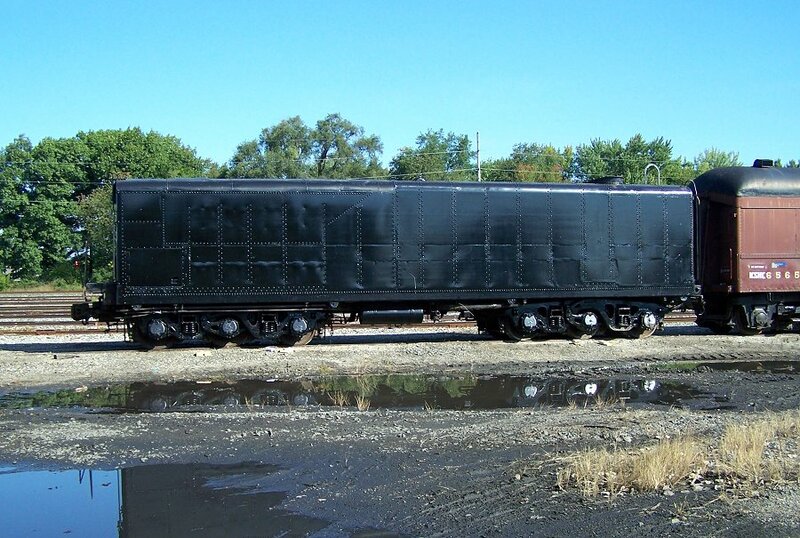 At times where only the exhaust was in visibility, I found it pleasant to imagine a leased Pennsylvania 2-8-0 consolidation pulling a heavy coal train West. Nothing wrong with imagination. As I reached my destination, I was in for a rude awakening. My navigation had failed me, as I realized I had went up County Road 700. Ahh, you win some, and lose some. 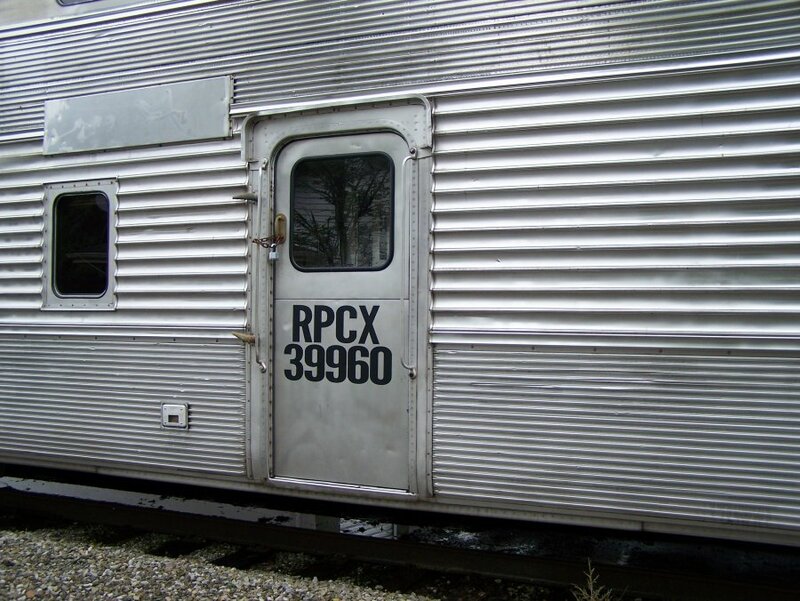 But when I consider the last time such a locomotive ran along the CI, I am pleased with my trip. 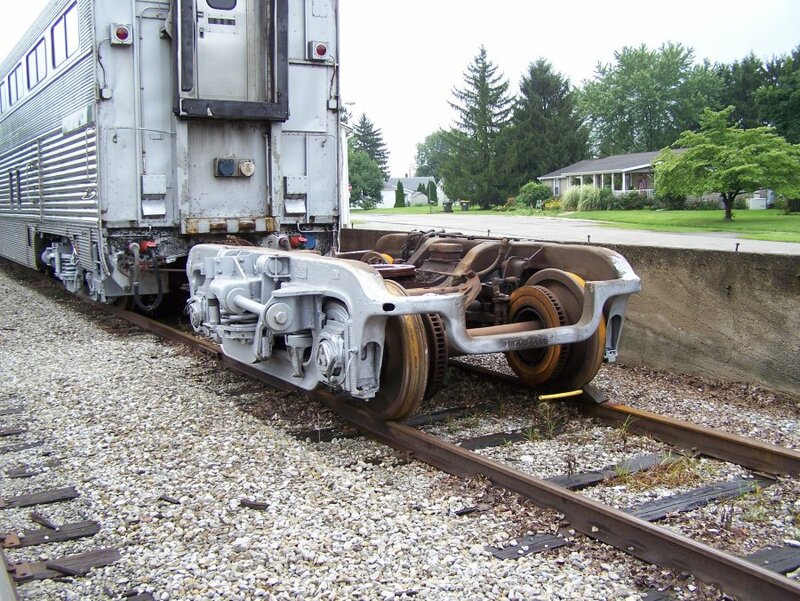 A true railroad odyssey along 90 IBS jointed rail! 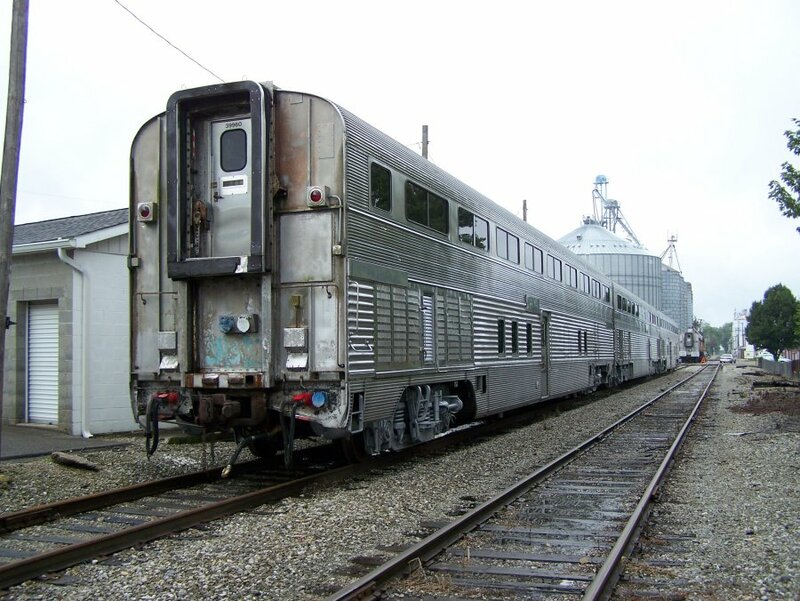 I had not seen any photos of the passenger cars that went to Lapel to get ready for the move to Atlanta. So, today on my day off at the History Center, I set out this AM for Lapel. Yes, it had been and was, raining. It rained almost all the way to Lapel and then it stopped! 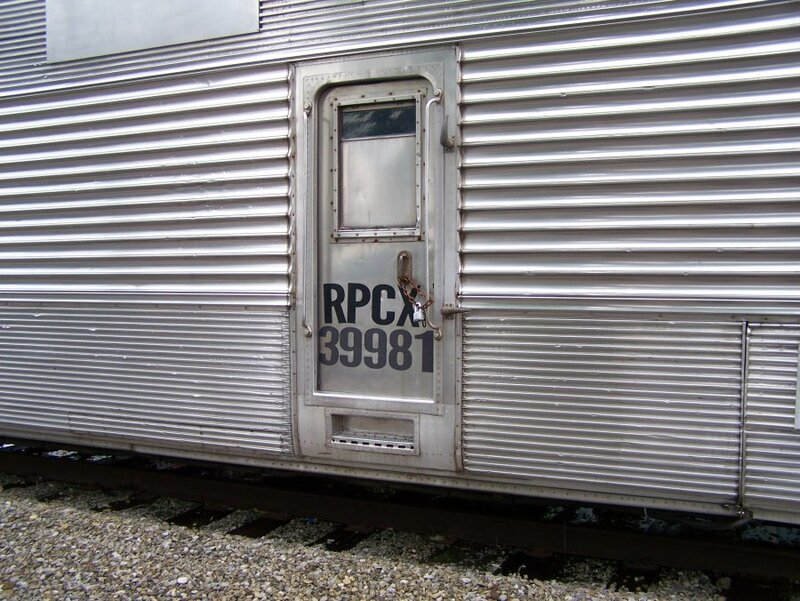 I drove though Lapel until I spotted one of the cars on a siding. I pulled up beside it, got my camera and got out, aimed it and nothing. The battery was dead. I thought for a moment and then headed for Noblesville and a good sized drug store. As I went, the clouds began to look ominous again. At the stop light at Noblesville, I looked across the highway and spotted a CVS Pharmacy. I maneuvered into the proper lane and turned in. I found what I needed and was soon on my way back to Lapel. I pulled in by the cars and it still had not begun to rain again. 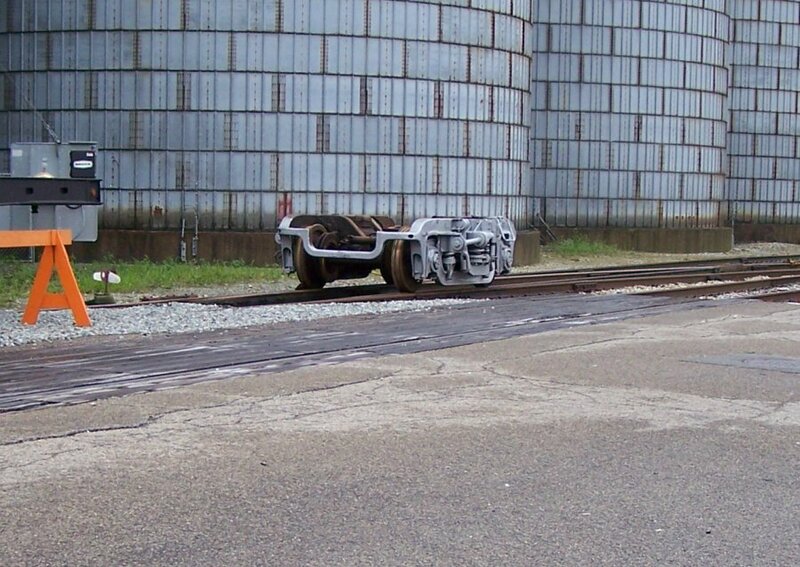 One shot, then one shot of the wheels they had put under one of the cars and then another and another as I walked along the track by the cars getting my shots and I even took another of the F Unit waiting at the end of the siding. 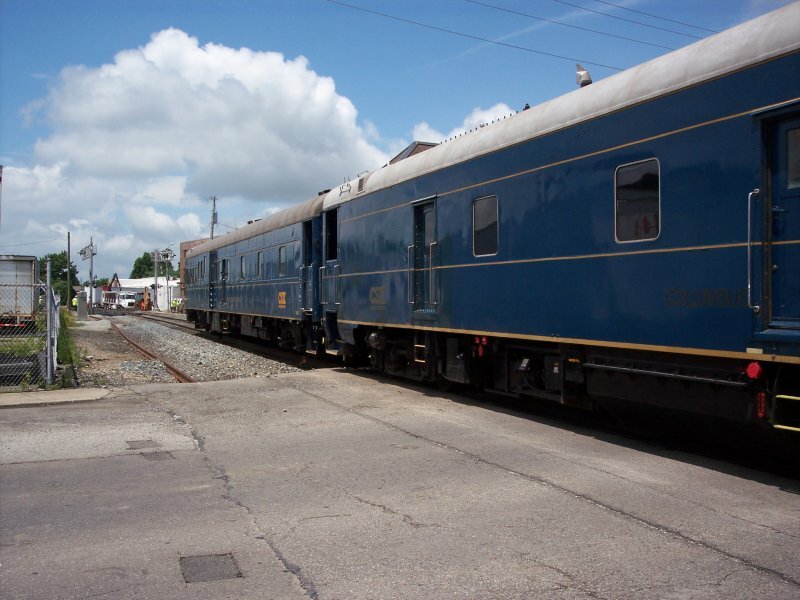 There were four passenger cars and the locomotive. I finished, got back into the car and left. It still had not begun to rain again. And here are some of those shots. 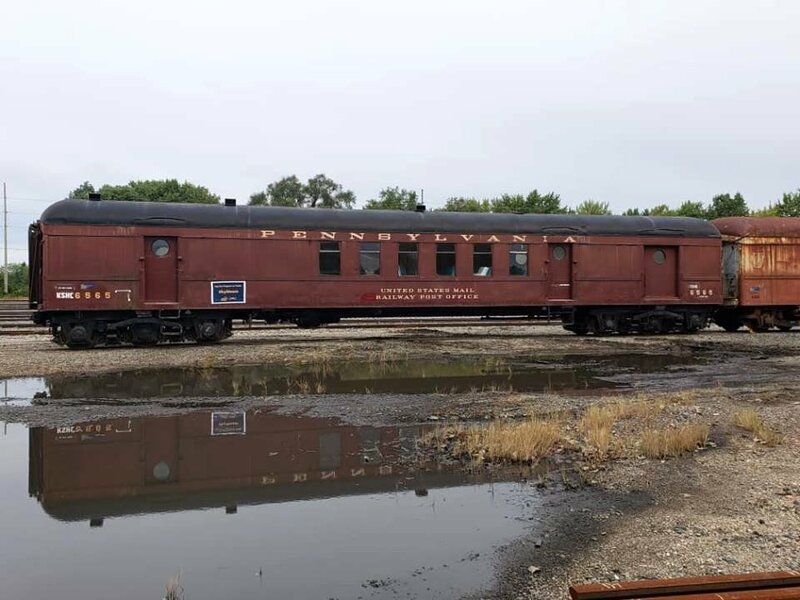 Ex PRR RPO, & P70 baggage car + a extra water tender for NKP 587 have been trucked from Noblesville to S Anderson yard for movement in a hospital train to the Kentucky railroad museum in New Haven, Kentucky. 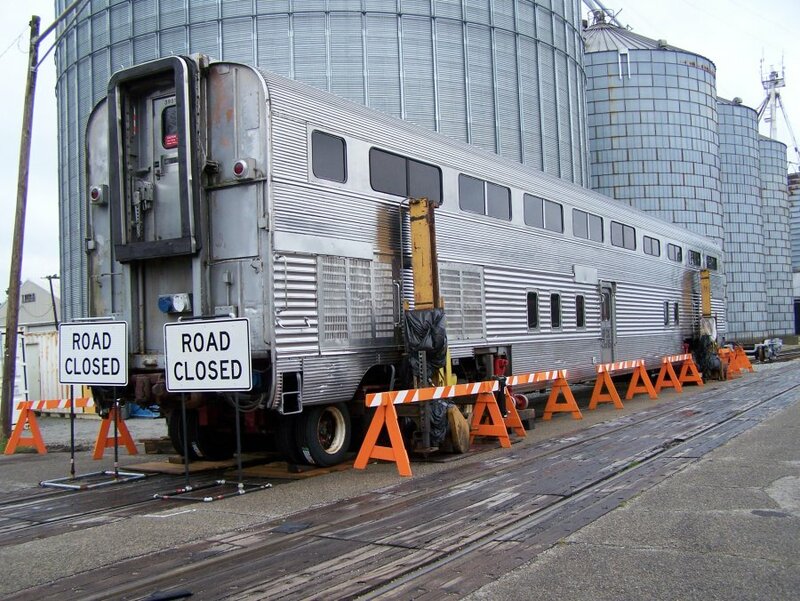 Train will probably move sometime this weekend. And an Auxiliary water tender for 587 is now ready for transport to KY. 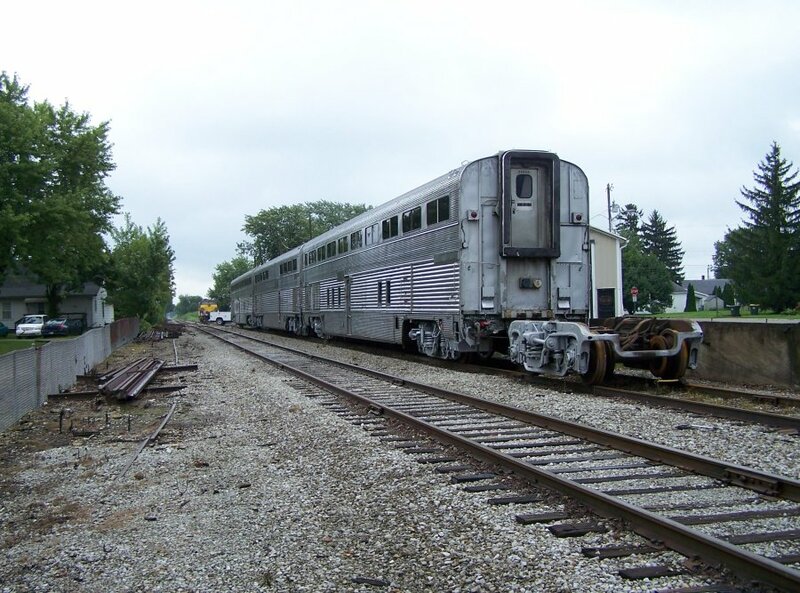 The Nickel Plate Train is running again in Hamilton County. 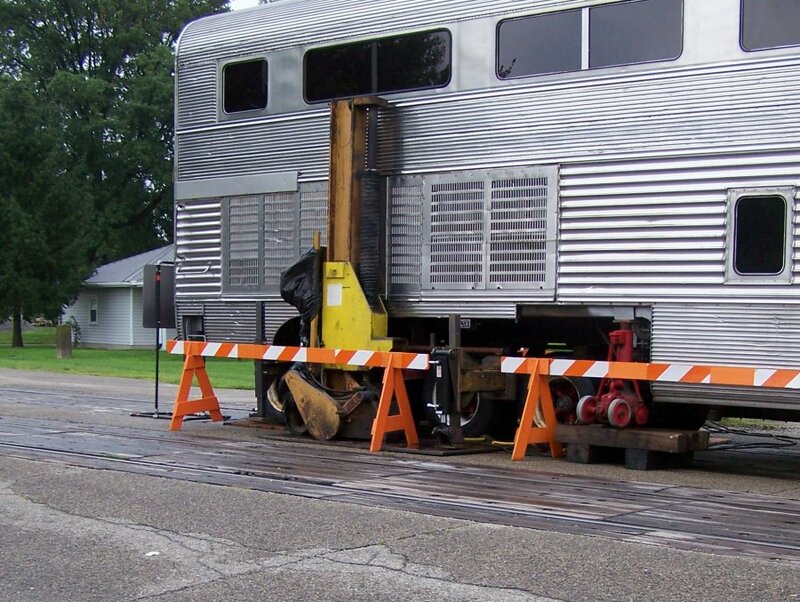 Watch those railroad crossings in Northem Hamilton County. 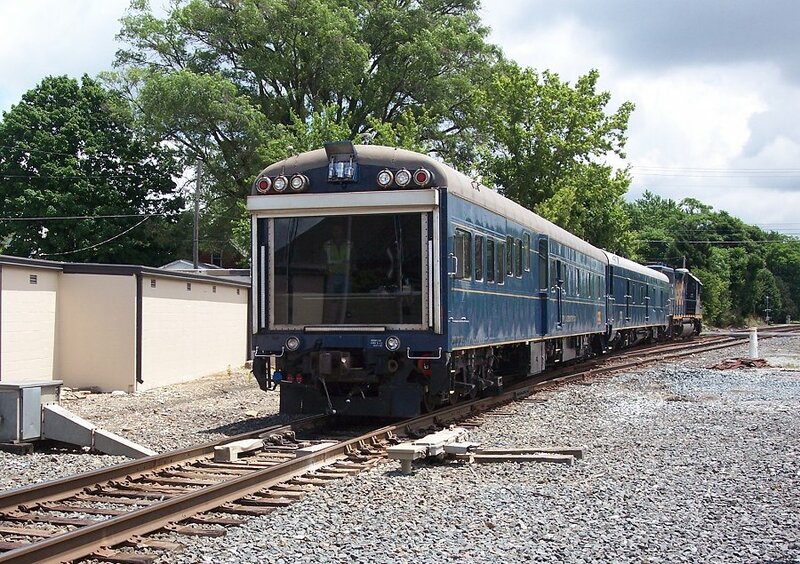 The Train will be at the Earth Festival this weekend and will be on the tracks on most weekends and holidays. 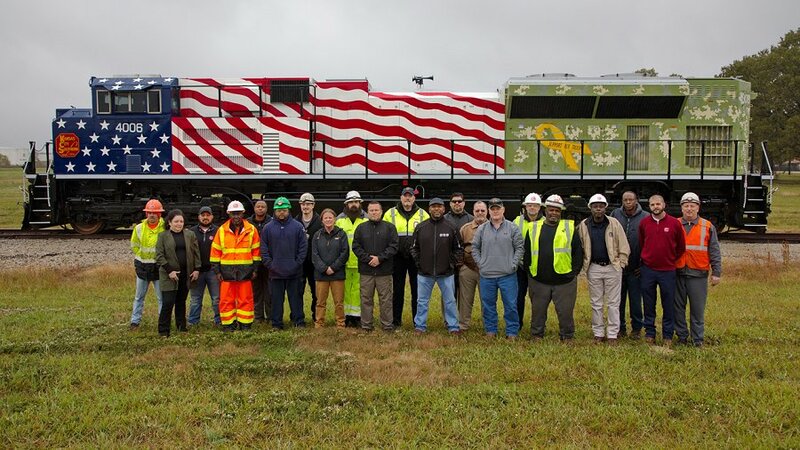 In observation of Veterans Day (Nov. 12) in the United States, Kansas City Southern (KCS) unveiled 4006, a 13-year-old EMD SD70ACE based at the railroad's Shreveport, La., Locomotive Shop, newly painted in a U.S. flag- and military-inspired scheme. 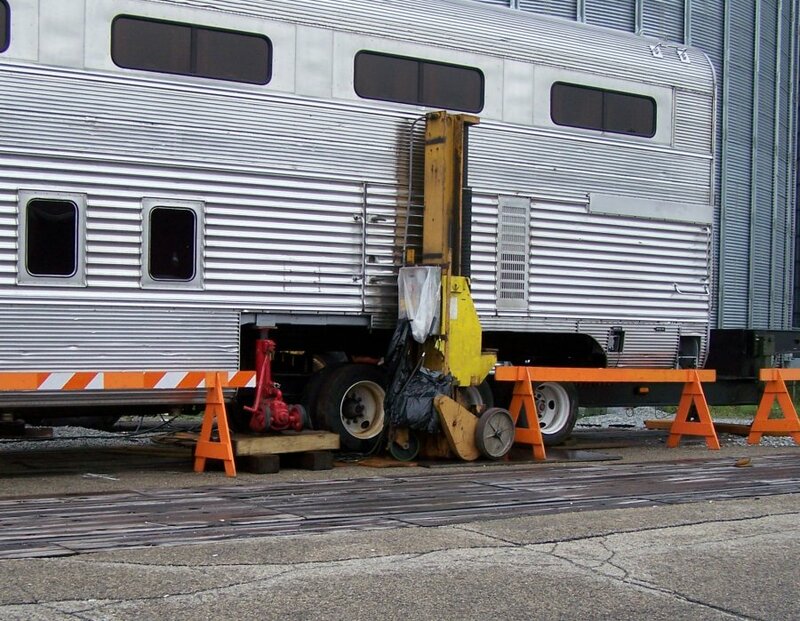 KCS hosted a photo shoot with the locomotive and its Shreveport-based military active-duty and veteran employees. 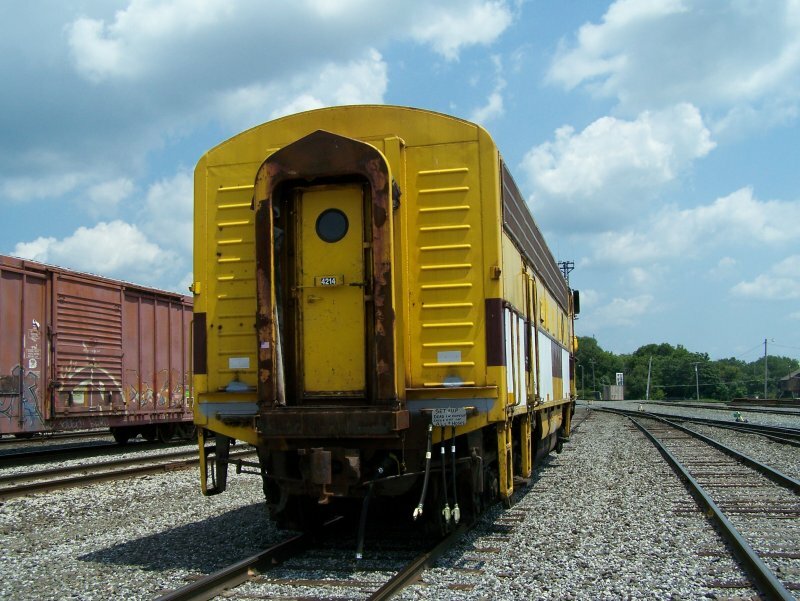 The PC Caboose (number 24012) was rescued from Hawthorne yard in Indianapolis to go to Ansonia Ohio. 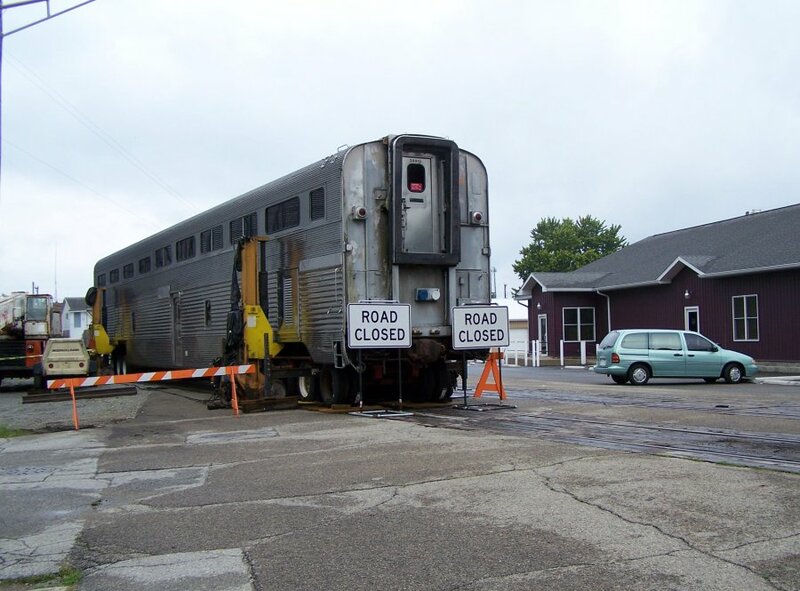 The rescue engines had to go to Shelbyville and back into Hawthorne, move 5 or 6 cars in bad condition, pull the caboose, put everything back and come to Anderson to put it into the yard before transferring it to Ansonia putting it to work. 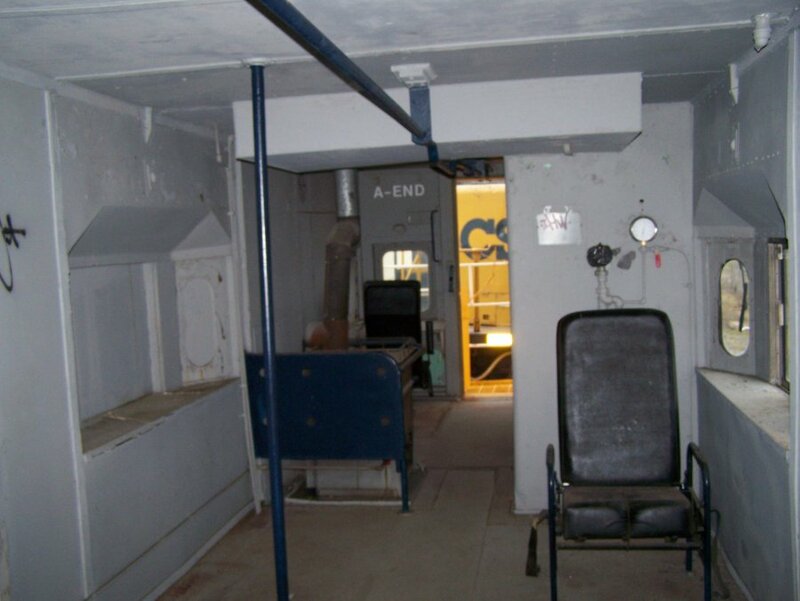 It isn't in great condition but good enough for work over there. 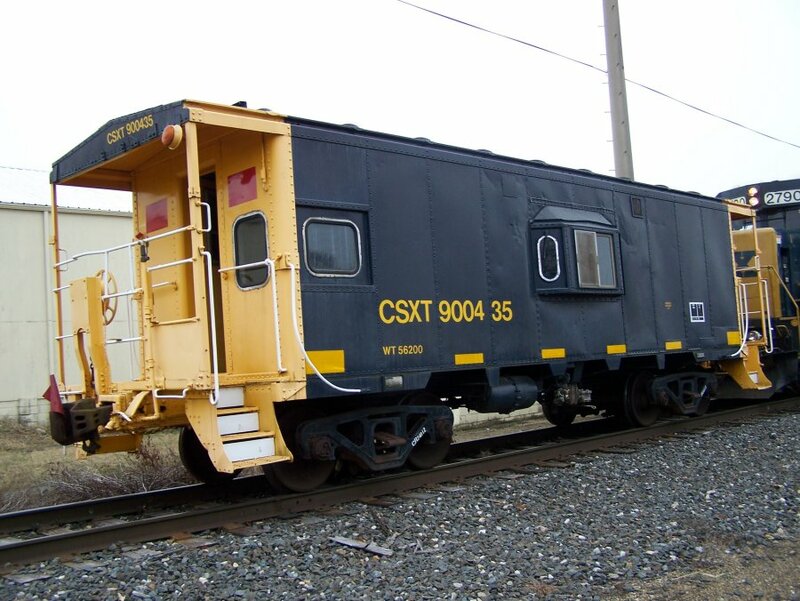 Although it is painted in CSX colors, you can still see some of the PC paint inside. Copyright 2018 by Roger P. Hensley. All Rights Reserved.